ERIC SILVER loves cardigans, big headphones, and being ten minutes early. He is the co-founder, former president, and four-time team member of Slam! at NYU, NYU's slam poetry team. He has upcoming work or has been published in The Legendary, Freezeray Press, Potluck, Write Bloody Publishing and more, as well as a self-published chapbook, Post-Awkward Expressionism. A high school English teacher, he wants to be somewhere between Robin Williams in Dead Poets' Society and KRS-One. 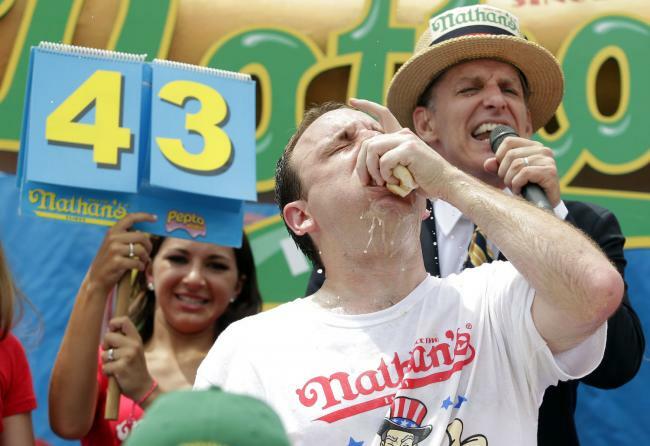 Hot Dog Eating Contest at Coney Island. I devoured his house room by room. like buns in tap water. billowing goose feathers in summer confetti. the silverware and the plastic. and she will always be safe." The average American eats 70 hot dogs in a year. to one day, a meat diamond pressurizing in my gut. what I can consume in your name.